Last Post: Question for Steve - which DL prospects fit our scheme ? Question for Steve - which DL prospects fit our scheme ? Last Post: Raiders send scouts home! Looks like it's the Chuckey and Mikey show! Raiders send scouts home! Looks like it's the Chuckey and Mikey show! There are currently 794 users online. 55 members and 739 guests. Most users ever online was 1,524 at 03:53 AM on 08-17-2016. 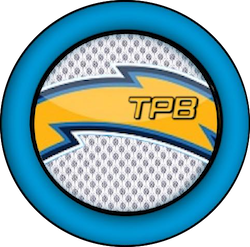 Been here for a long time, as this awesome place has been my interwebz home for daily fixes of anything Bolts related. HAVE YOUR FIRST ROUND CLUSTERS? WHAT 1ST ROUND SURPRISES AWAIT? Welcome to our newest member, NMBoltNut.